By assessing individual exposure to electromagnetic fields, INTEROCC represents the most comprehensive study in the field. A new study finds no significant correlation between workplace exposure to radio frequency (RF) or intermediate frequency (IF) electromagnetic waves and the most common brain tumors. This is more reassuring evidence that non-ionizing EMFs are probably safe. The study focused on a group of 61 patients with advanced gastric cancer, treated with pembrolizumab (Merck's Keytruda) in a phase II trial. Investigators studied a variety of factors and their association with immunotherapy response including microsatellite instability (MSI) and PD-L1 expression, but also tumor mutational burden — more specifically, whether Guardant's 360 assay could recapitulate the same response prediction as tissue-based measurements of TMB. Breast Cancer Screening Market is projected to reach US$ 21 Billion by the end of year 2024. The cocktails, which include chemotherapy, anti-tumor antibiotics, and chemical compounds, are given at low doses that would normally not give a therapeutic benefit on their own. Instead, they bolster a patient’s response to a separate targeted therapy drug, which blocks enzymes that help cancer cells grow. The CHHiP trial importantly found that having a higher dose of radiation, across fewer sessions was just as effective when treating prostate cancer and reduced the level of side effects. Previously patients needed to attend 37 appointments, every weekday across seven and a half weeks. The CHHiP trial brought this down to 20 sessions, taking just four weeks. Immunotherapy uses the body’s immune system to fight cancer. This animation explains three types of immunotherapy used to treat cancer: nonspecific immune stimulation, T-cell transfer therapy, and immune checkpoint inhibitors. Nowers joined Kite from Bristol-Myers Squibb in October 2016 with a brief to establish a commercial operation capable of handling the anticipated approval of CAR-T therapy Yescarta. After 22 months as Kite’s European leader, Nowers leaves the company as it closes in on the European approval of the CAR-T. 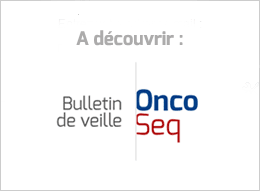 The designation was granted based on the results of the pivotal phase 3 QuANTUM-R study of quizartinib, which were presented during the plenary program at the 23rd Congress of the European Hematology Association in June 2018. QuANTUM-R is the first randomized phase 3 study to show that a FLT3 inhibitor, quizartinib, prolongs overall survival as an oral, single agent compared to chemotherapy in patients with relapsed/refractory FLT3-ITD AML. This isn’t their first deal. Novartis handed over a CYP17 inhibitor (CFG920), an oral androgen inhibitor to treat prostate cancer, in a pact they struck with the Chinese company last year. “In the short- to mid-term EMA will have to reprioritize its resources to fully maintain its core activities related to the evaluation and supervision of medicines to the level of quality and within the timelines expected,” it said. The global age-standardized breast cancer mortality rate is projected to decrease by 9 percent in the same time frame. Giving real power to patients and those who care for them will entail shaking up existing research hierarchies, not merely smoothing out a few bumps in current practice. Senior researchers should lead by example and embrace this essential culture change. The foundation, located down the road from the NIH’s campus in Bethesda, Md., is not technically a government entity, despite its congressional mandate. But in the last three decades it has facilitated hundreds of partnerships between the NIH and companies hoping to contribute to research, serving as an ethical clearinghouse between private donors and publicly funded researchers. New studies show a substantial percentage of cancer patients skip or delay needed care because of financial problems. Theraxium Oncology takes advantage of over four years of research and development by Voluntis in partnership with life science partners and cancer institutes as well as user feedback from patients and multiple US cancer centers. The Pinnacle seeding trial serves as another reminder for consumers to be wary of medical devices, particularly those devices that are new to the market. Few undergo rigorous trials before they are sold, and there are often cozy ties between doctors and device industry sales representatives.